CALL NOW TO ORDER TODAY! For 12 Months w/12 mo agmt, Autopay may be req’d. Up to $5.99/mo Broadcast & add’l fees apply. Geographic and service restrictions apply to AT&T U-verse services. Call or go to att.com to see if you qualify. * NEW RESIDENTIAL CUSTOMERS ONLY. $35 ACTIVATION, EARLY TERMINATION FEE ($15/MO) FOR EACH MONTH REMAINING ON AGMT, EQUIPMENT NON-RETURN & ADD’L FEES APPLY. Price is after $5/mo. autopay discount for 12 mos. Pay $115/mo. + taxes until discount starts. Discount is instant for online orders on att.com only. In other channels AutoPay is req’d and discount starts w/in 3 bills. I. Restr’s apply. “Get a $100 AT&T Visa® Reward Card when you sign up for qualifying for U-verse TV w/12-mo agmt. Redemption req’d. Ends 6/30/18. EARLY TERMINATION FEE OF $15/MO. FOR EACH MONTH REMAINING ON AGMT., $35 ACTIVATION, EQUIP NON-RETURN & ADD’L FEES APPLY. New residential customers only. The U450 package has a great deal of networks for you to pick from. You’ll also get HD programming, premium channels, the Total Home DVR®, On-Demand and much more included at no extra charge. The U450 Package has the entertainment you need to keep you up to date on the latest blockbusters and hottest TV shows. You don’t have to worry about when your family’s favorite shows air on different channels during the same primetime slot. With the U-verse® TV's Total Home DVR® everybody is able to watch their favorite shows on up to 8 different screens in your house. You can even record up to four shows at the same time on one DVR, then watch them wherever in your house at a later time. U450 has a huge line-up of over 225 High Definition channels, more than 100 movie channels, the most up-to-date sports and news, plus much more. With the U450 package, you get a range of professional sports channels, a great deal of family programming, and instantaneous access to the best entertainment and hit movie networks. Using the Wireless Receiver, which is included, for free with the U450 package, there’s no need to rely on TV jacks to get HD channels anymore. Using only the Wireless Receiver and an electric outlet, you can get U-verse® TV in High Definition virtually wherever you want in your home–even outside the house. Why opt for some of the sports you love when you can actually watch them all—in FULL HD? Get access to every televised sport you can possibly imagine with the U-verse® TV Sports package. Do you know what is the number one show in China or Mexico is? Would you like to know more about that? Then the U-verse® TV International package is made for you. It provides you with a sample of what the rest of the globe is watching. Don’t just watch television. Experience television with high definition programming. Enjoy a great deal of HD channels with U450. Watch sports, movies, and even your local news in crystal clear picture and outstanding audio quality. Your TV experience will never be the same with HD programming from U-verse® TV. Get a better viewing experience with the stunning HD quality. is essential for maximizing your home entertainment. Start a program in one room and finish it in another. Pause, rewind and fast-forward recorded programs, too. Benefit from all the choices the U450 package offers with the Total Home DVR®. With so many awesome viewing and entertainment options, HD programming is a must-have.U-verse® TV offers many amazing HD channels! Watch every car chase, winning goal and fine detail in crystal-clear HD programming. Favorites like Disney Channel, Food Network, ESPN, Bravo, CNN and many more are all offered in HD. High-definition programming isn’t included with the U300 package, but can easily be included. Just consult the AT&T expert about HD when ordering. Get the channels you need in the quality you want with U-verse® TV. With hundreds of premium channels to choose from, the U-450 plan provides you the latest TV shows and newly released movies for you to enjoy with your friends and family. With channels like HBO®, CINEMAX®, SHOWTIME® and Starz®, you get a huge collection of the latest blockbuster movies and TV shows to binge on. Sign up for the U-450 package and turn your living room into a movie theater with U-verse® TV’s HD quality content. Experience movies like never before with U-verse® TV. The finest in home entertainment is here. Call now to order your U450 package from U-verse® TV. With plenty of channels, premium networks, On Demand and much more, your home entertainment experience will never be the same. Get better viewing choices with U450. Get HD services for $10 per month. Plus, when you opt for the U-450 package you get more than 230 channels with the HD Premium Tier for $7 per month. Access to select content requires compatible device, qualifying U-verse® TV plan, and Wi-Fi connection and/or cellular data connection. Available content may vary by device and/or U-verse® TV plan and is subject to change. Data charges may apply. AT&T High Speed Internet service is required to connect a qualifying device to an U-verse® TV receiver. Total Home DVR functionality is available on up to 8 TVs, and requires a receiver for each additional TV for an additional monthly fee. $84.99 1-YR BUNDLE PRICE: Ends 5/31/18. 1st & 2nd year Pricing: $84.99/mo for first 12 mos. only. After 12 mos. or loss of eligibility, then prevailing rate applies (currently $127.99/mo. ), unless cancelled or changed prior to end of the promo period. Must maintain all qualifying services and service addresses must match to receive advertised pricing. Pricing subject to change. $5/mo. discount: Must enroll in autopay within 30 days of TV activation to receive bill credit starting in 1-3 bill cycles. First time credit will include all credits earned since meeting offer requirements. No credits in 2nd year for autopay. Autopay requirement waived for online orders on att.com only. Includes: SELECT All-Included TV Pkg., Internet plans (768k – 50M) and Phone Unlimited North America, monthly service and equipment fees for one Genie HD DVR, monthly fees for a Wi-Fi Gateway, and standard pro installation. Exclusions: Price excludes applicable use tax expense surcharge on retail value of installation, custom installation, equipment upgrades/add-ons (min. $99 one-time & $7/mo. monthly fees for each extra receiver/DIRECTV Ready TV/Device), and other add’l fees & charges. Different offers may apply for eligible multi-dwelling unit customers. AT&T PHONE: AT&T Phone service is provided over an Internet Protocol connection and powered by electricity in your home. Unless you provide any necessary backup battery power, AT&T Phone service including 911 dialing, will not function during a power outage. Phone Unlimited North America: Includes unlimited nationwide calling within the U.S., plus calls to Canada, Mexico and U.S. Territories; otherwise, per minute rates apply. An additional per minute rate applies to international calls terminating on mobile phones. 1-YR U-Family ALL INCLUDED TV PACKAGE: Ends 5/31/18. $35 for first 12 mos. only. After 12 mos, then prevailing rate applies (currently $35/mo), unless cancelled or changed prior to end of promo period. Pricing subj to change. $5/mo. discount: Must enroll in autopay w/in 30 days of TV activation to receive bill credit starting in 1-3 bill cycles. First time credit will include all credits earned since meeting offer requirements. Autopay requirement waived for online orders on att.com only. Incl. U-family All-included HD service, equip fees for 1 HD DVR and standard pro installation. Exclusions: Price excludes applicable use tax expense surcharge on retail value of installation, custom installation, equip upgrades/add-ons (each add ’l receiver $10/mo) & other charges, including Broadcast Fee (up to $5.99/mo), a federal regulatory video cost recovery chrg and city video cost recovery fees. Credit restr’s apply. Different offers may apply for eligible multi-dwelling unit customers. $100 REWARD CARD: Requires purchase of qualifying TV package (min. $35/mo. promo price after discount that starts w/i 3 bills & may req. AutoPay) through card fulfillment. Qualifying Packages: For U-verse TV U-Family or above. Select locations. For new residential customers. Residents of select multi-dwelling units are not eligible for this offer. Reward Card: Will be sent letter with redemption requirements. Redemption req’d. w/in 75 days from reward notification mail date. Reward Card delivered within 3-4 weeks after redemption to customers who maintain qualifying service from installation date and through reward fulfillment. Card expires at month-end 6 mos after issuance. No cash access. For cardholder agreement, go to rewardcenter.att.com/myrewardcard/agreement_FSV.pdf. AT&T Reward Card issued by U.S. Bank National Association, pursuant to license from Visa U.S.A. Inc. May not be combined with other promotional offers on same services and may be modified or discontinued at any time without notice. Ends 6/30/18. Pricing, programming, features subj to change at any time without notice. Subject to AT&T U-verse TV Terms of Service (at att.com/legal). All Offers may not be combined with other promotional offers on the same services and may be modified or discontinued at any time without notice. Other conditions apply to all offers. ©2018 AT&T Intellectual Property. All Rights Reserved. AT&T, Globe logo, and all other marks contained herein are trademarks of AT&T Intellectual Property and/or AT&T affiliated companies. All other marks are the property of their respective owners. 1-YR U-FAMILY ALL INCLUDED TV PACKAGE: Ends 5/31/18. $35/mo for U-family All Included; $55/mo for U200 All Included; $60/mo for U300 All Included; $110/mo for U450 All Included for first 12 mos. only. After 12 mos, then prevailing rate applies (currently $79/mo for U-family All Included; $98/mo for U-200 All Included; $114/mo for U-300 All Included; $139/mo for U450 All Included) unless cancelled or changed prior to end of promo period. Pricing subject to change. Must enroll in autopay w/in 30 days of TV activation to receive bill credit starting in 1-3 bill cycles. First time credit will include all credits earned since meeting offer requirements. No credits in 2nd year for autopay . Exclusions: Price excludes applicable use tax expense surcharge on retail value of installation, custom installation, equip upgrades/add-ons (each add ’l receiver $10/mo) & other charges, including Broadcast Fee (up to $5.99/mo), a federal regulatory video cost recovery chrg and city video cost recovery fees. Credit restr’s apply. Pricing, programming, features subj to change at any time without notice. $100 Reward Card for purchase of qualifying U-verse TV (U-family and above). Online and select locations only. For new residential customers. Residents of select multi-dwelling units are not eligible for this offer. Reward Card: Will be sent letter with redemption requirements. Redemption req’d. w/in 75 days from reward notification mail date. Reward Card delivered within 3-4 weeks after redemption to customers who maintain qualifying service from installation date and through reward fulfillment. Card expires at month-end 6 mos after issuance. No cash access. For cardholder agreement, go to rewardcenter.att.com/myreward/agreementFSV.pdf. AT&T Reward Card issued by U.S. Bank National Association, pursuant to license from Visa U.S.A. Inc. May not be combined with other promotional offers on same services. Ltd Time Offer. 3 Mos. HBO® /Cinemax Offer: Ends 3/31/18. Customers not eligible for more than two HBO/Cinemax upgrade offers during any 12-month period. HBO®, Cinemax® and related channels and service marks are the property of Home Box Office Inc. All Offers may not be combined with other promotional offers on the same services and may be modified or discontinued at any time without notice. Other conditions apply to all offers. ©2018 AT&T Intellectual Property. All rights reserved. AT&T, the AT&T logo, and all other AT&T marks contained herein are trademarks of AT&T Intellectual Property and/or AT&T affiliated companies. Subsidiaries and affiliates of AT&T Inc. provide products and services under the AT&T brand. All other trademarks are the property of their respective owners. Offers may not be combined with other offers on the same services and may be modified or discontinued at any time without notice. Other conditions apply to all offers. $19.99 Phone Unlimited North America Offer: Available to new residential customers when bundled with a minimum of 2 other qualifying AT&T services (DIRECTV or U-verse TV, Internet, or postpaid wireless). Combined billing on a single AT&T bill req’d. Must maintain all bundled services to receive continual discount on plan. If a qualifying service is canceled then-prevailing standard monthly rate currently ($32/mo) applies. Includes unlimited nationwide calling within the U.S., plus calls to Canada, Mexico and U.S. Territories. International calls billed at additional per minute rates. An additional per minute rate may apply for international calls terminating on mobile phones. Caller ID may not always be available for all calls. AT&T Voicemail may not be fully compatible with all AT&T wireless voicemail systems. © 2018 AT&T Intellectual Property. All Rights Reserved. AT&T, Globe logo, and all other marks contained herein are trademarks of AT&T Intellectual Property and/or AT&T affiliated companies. All other marks are the property of their respective owners. Select ALL INCLUDED PACKAGE: Ends 5/31/18. Available only in the U.S. (excludes Puerto Rico and U.S.V.I.). 1st & 2nd year Pricing: $35 for first 12 mos. only. After 12 mos. or loss of eligibility, then prevailing rate applies (currently $78/mo for SELECT All Included; $90/mo for ENTERTAINMENT All Included; $105/mo for CHOICE All Included; $117/mo for XTRA All Included; $128/mo for ULTIMATE All Included; $181/mo for PREMIER All Included), unless cancelled or changed prior to end of the promo period. Pricing subject to change. $5/mo. discount: Must enroll in autopay within 30 days of TV activation to receive bill credit starting in 1-3 bill cycles. First time credit will include all credits earned since meeting offer requirements. No credits in 2nd year for autopay. Includes: Select All Included TV Pkg, monthly service & equipment fees for one Genie HD DVR, and standard pro installation. Exclusions: Price excludes, applicable use tax expense surcharge on retail value of installation, custom installation, equipment upgrades/add-ons (min. $99 one-time & $7/mo. monthly fees for each extra receiver/DIRECTV Ready TV/Device), and certain other add’l fees & charges. Different offers may apply for eligible multi-dwelling unit and telco customers. $100 REWARD CARD: Requires purchase of qualifying TV package (min. $35/mo. promo price after discount that starts w/i 3 bills & may req. AutoPay) through card fulfillment. Qualifying Packages: For DIRECTV SELECT or above, OPTIMO MAS or above, PREFERRED CHOICE bundle Select locations. For new residential customers in the U.S. (excludes Puerto Rico and U.S.V.I.). Residents of select multi-dwelling units are not eligible for this offer. Reward Card: Will be sent letter with redemption requirements. Redemption req’d. w/in 75 days from reward notification mail date. Reward Card delivered within 3-4 weeks after redemption to customers who maintain qualifying service from installation date and through reward fulfillment. Card expires at month-end 6 mos after issuance. No cash access. For cardholder agreement, go to rewardcenter.att.com/myrewardcard/agreement_FSV.pdf. AT&T Reward Card issued by U.S. Bank National Association, pursuant to license from Visa U.S.A. Inc. May not be combined with other promotional offers on same services and may be modified or discontinued at any time without notice. Ends 6/30/18. $84.99 1-YR BUNDLE PRICE:Ends 5/31/18. $84.99/mo for first 12 mos. only. After 12 mos. or loss of eligibility, then prevailing rate applies (currently $81/mo), unless cancelled or changed prior to end of promo period. Must maintain all qualifying services and service addresses must match to receive advertised pricing. Pricing subj to change. $5/mo Discount: Must enroll in autopay w/in 30 days of TV activation to receive bill credit starting in 1-3 bill cycles. First time credit will include all credits earned since meeting offer requirements. Autopay requirement waived for online orders on att.com only. Includes: U-family All-Included TV Pkg., Internet plans (768k – 50M) and Phone Unlimited North America, HD service, equip fees for 1 HD DVR, Wi-Fi Gateway, and standard pro installation. Exclusions: Price excludes applicable use tax expense surcharge on retail value of installation, custom installation, equip upgrades/add-ons (each add ’l receiver $10/mo) & other charges, including a Broadcast Fee (up to $5.99) a federal regulatory video cost recovery chrg and city video cost recovery fees. Credit restr’s apply. Different offers may apply for eligible multi-dwelling unit customers.Pricing, programming, features subj to change at any time without notice. Subject to AT&T U-verse TV Terms of Service (at att.com/legal). 1-YR U300 ALL INCLUDED TV PACKAGE: Ends 5/31/18. $60 for first 12 mos. only. After 12 mos, then prevailing rate applies (currently $119/mo), unless cancelled or changed prior to end of promo period. Pricing subj to change. $5/mo. discount: Must enroll in autopay w/in 30 days of TV activation to receive bill credit starting in 1-3 bill cycles. First time credit will include all credits earned since meeting offer requirements. Autopay requirement waived for online orders on att.com only. Incl. U-300 All included HD service, equip fees for 1 HD DVR and standard pro installation. Exclusions: Price excludes applicable use tax expense surcharge on retail value of installation, custom installation, equip upgrades/add-ons (each add ’l receiver $10/mo) & other charges, including Broadcast Fee (up to $5.99/mo), a federal regulatory video cost recovery chrg and city video cost recovery fees. Credit restr’s apply. Different offers may apply for eligible multi-dwelling unit customers. $100 REWARD CARD: Requires purchase of qualifying TV package (min. $35/mo. promo price after discount that starts w/i 3 bills & may req. AutoPay) through card fulfillment. Qualifying Packages: For U-verse TV U-Family or above Select locations. For new residential customers. Residents of select multi-dwelling units are not eligible for this offer. Reward Card: Will be sent letter with redemption requirements. Redemption req’d. w/in 75 days from reward notification mail date. Reward Card delivered within 3-4 weeks after redemption to customers who maintain qualifying service from installation date and through reward fulfillment. Card expires at month-end 6 mos after issuance. No cash access. For cardholder agreement, go to rewardcenter.att.com/myrewardcard/agreement_FSV.pdf. AT&T Reward Card issued by U.S. Bank National Association, pursuant to license from Visa U.S.A. Inc. May not be combined with other promotional offers on same services and may be modified or discontinued at any time without notice. Ends 6/30/18. 1-YR ALL INCLUDED TV PACKAGE: Ends 5/31/18. $35/mo for U-family All Included; $55/mo for U-200 All Included; $60/mo for U-300 All Included; $110/mo for U450 All Included; for first 12 mos. only. After 12 mos, then prevailing rate applies (currently $81/mo for U-family All Included; $102/mo for U-200 All Included; $119/mo for U-300 All Included; $147/mo for U450 All Included; unless cancelled or changed prior to end of promo period. Pricing subj to change. $5/mo. discount: Must enroll in autopay w/in 30 days of TV activation to receive bill credit starting in 1-3 bill cycles. First time credit will include all credits earned since meeting offer requirements. Autopay requirement waived for online orders on att.com only. Incl. with each package HD service, equip fees for 1 HD DVR and standard pro installation. Exclusions: Price excludes applicable use tax expense surcharge on retail value of installation, custom installation, equip upgrades/add-ons (each add ’l receiver $10/mo) & other charges, including Broadcast Fee (up to $5.99/mo), a federal regulatory video cost recovery chrg and city video cost recovery fees. Credit restr’s apply. Different offers may apply for eligible multi-dwelling unit customers. 72 Hour Rewind/Restart:1 Restart/Rewind features compatible with Genie Minis. For Restart to work, show must be airing for at least 2 minutes. Visit directv.com for details. DIRECTV App:2 Live streaming and Video on Demand channels may vary by TV package, viewing location and device. Additional charges may apply for new releases. Out-of-home viewing requires high-speed connection. Additional features/channels may be available for in-home live-streaming when connected to an HD DVR with high-speed data connection. All functions and programming subject to change at any time. Visit directv.com/streamdirectv for a list of compatible devices (sold separately) and details. DIRECTV On-Demand:3 Access to available DIRECTV On Demand programming based on package selection. Actual number of shows and movies will vary. Additional fees apply for new releases. 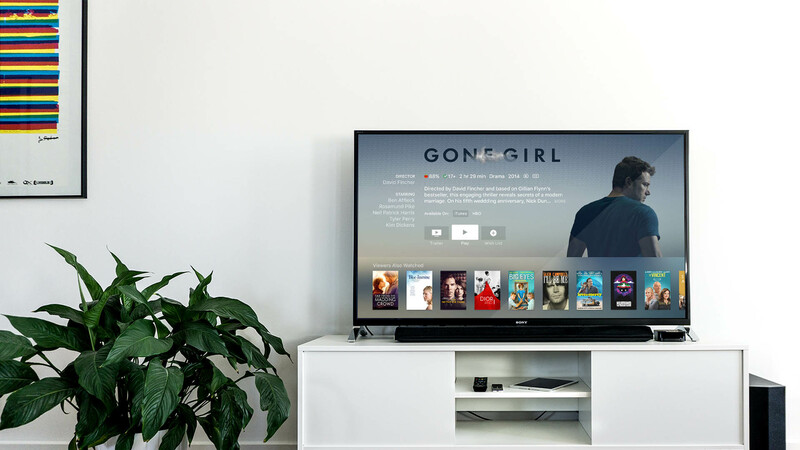 Some DIRECTV CINEMA and On Demand content requires an HD DVR (HR20 or later) or DVR (R22 or later), DIRECTV CINEMA Connection Kit and broadband Internet service with speeds of 750 kbps or higher and a network router with an available Ethernet port. Downloading On Demand content may count against your data plan allowance. Visit directv.com/movies for details. DIRECTV CINEMA: Standard text message & data rates apply when ordering by text an additional $5 charge applies for an operator-assisted order. Purchases via remote control will only be accessible on the TV and will not be accessible on any other device. To order Pay Per View programming with your remote control, all the DIRECTV receivers must be continually connected to the same landline and/or the Internet. To order Pay Per View programming, a DIRECTV subscription is required. DIRECTV CINEMA purchases are nonrefundable. Moves expire 48-72 hours after purchase. Programming, pricing, terms and conditions subject to change at any time. 1 DIRECTV Whole-Home DVR service requires a DIRECTV Genie HD DVR (model HR34) connected to one television. Remote viewing requires a Genie Mini (model C31), H25 HD Receiver(s) or DIRECTV Ready TV/device in each additional room, a SWiM network and Advanced Receiver Service ($15/mo.). Limit of three remote viewings per Genie HD DVR at a time. Visit directv.com/genie for complete details. 2 Access to programming based on package selection. Blackout restrictions apply to sports programming. Program must air in HD to record in HD. Geographic and service restrictions apply to AT&T Internet services. Call or go to att.com to see if you qualify. INTERNET OFFERS REQUIRE 12 MONTH AGREEMENT. New approved residential customers only. Prorated ETF ($180) and Equipment Non-Return fees apply. Credit restrictions apply. 1YR INTERNET OFFER: Price after bill credit for new residential customers. After 12 months, then prevailing monthly rate applies unless canceled by customer before end of promo period. Up to $99 installation fee applies. ©2018 AT&T Intellectual Property. All rights reserved. AT&T, the AT&T logo, and all other AT&T marks contained herein are trademarks of AT&T Intellectual Property and/or AT&T affiliated companies. Subsidiaries and affiliates of AT&T Inc. provide products and services under the AT&T brand. All other trademarks are the property of their respective owners. SELECT ALL INCLUDED PACKAGE: Ends 5/31/18. Available only in the U.S. (excludes Puerto Rico and U.S.V.I.). 1st & 2nd year Pricing: $35/month for first 12 mos. only. After 12 mos. or loss of eligibility, then prevailing rate applies (currently $78/mo for SELECT All Included), unless cancelled or changed prior to end of the promo period. Pricing subject to change. $5/mo. autopay discount: Must enroll in autopay within 30 days of TV activation to receive bill credit starting in 1-3 bill cycles. First time credit will include all credits earned since meeting offer requirements. No credits in 2nd year for autopay. Autopay requirement waived for online orders on att.com only. Includes: Select All Included TV Pkg, monthly service & equipment fees for one Genie HD DVR, and standard pro installation. Exclusions: Price excludes, applicable use tax expense surcharge on retail value of installation, custom installation, equipment upgrades/add-ons (min. $99 one-time & $7/mo. monthly fees for each extra receiver/DIRECTV Ready TV/Device), and certain other add’l fees & charges. Different offer available for eligible multi-dwelling unit & Telco customers. $100 REWARD CARD: Requires purchase of qualifying TV package (min. $35/mo. promo price after discount that starts w/i 3 bills & may req. AutoPay) through card fulfillment. Qualifying Packages: < For DIRECTV insert: SELECT or above, OPTIMO MAS or above, PREFERRED CHOICE bundle. Select locations. For new residential customers in the U.S. (excludes Puerto Rico and U.S.V.I.). Residents of select multi-dwelling units are not eligible for this offer. Reward Card: Will be sent letter with redemption requirements. Redemption req’d. w/in 75 days from reward notification mail date. Reward Card delivered within 3-4 weeks after redemption to customers who maintain qualifying service from installation date and through reward fulfillment. Card expires at month-end 6 mos after issuance. No cash access. For cardholder agreement, go to rewardcenter.att.com/myrewardcard/agreement_FSV.pdf. AT&T Reward Card issued by U.S. Bank National Association, pursuant to license from Visa U.S.A. Inc. May not be combined with other promotional offers on same services and may be modified or discontinued at any time without notice. Ends 6/30/18. Geographic and service restrictions apply to AT&T services. Call or go to www.att.com to see if you qualify. $84.99 1-YR BUNDLE PRICE: Ends 5/31/18. 1st & 2nd year Pricing: $84.99/mo for first 12 mos. only. After 12 mos. or loss of eligibility, then prevailing rate applies (currently $127.99/mo. ), unless cancelled or changed prior to end of the promo period. Must maintain all qualifying services and service addresses must match to receive advertised pricing. Pricing subject to change. $5/mo. autopay discount: Must enroll in autopay within 30 days of TV activation to receive bill credit starting in 1-3 bill cycles. First time credit will include all credits earned since meeting offer requirements. No credits in 2nd year for autopay. Includes: SELECT All-Included TV Pkg., Internet plans (768k – 50M) and Phone Unlimited North America, monthly service and equipment fees for one Genie HD DVR, monthly fees for a Wi-Fi Gateway, and standard pro installation. Exclusions: Price excludes applicable use tax expense surcharge on retail value of installation, custom installation, equipment upgrades/add-ons (min. $99 one-time & $7/mo. monthly fees for each extra receiver/DIRECTV Ready TV/Device), and other add’l fees & charges. Different offers may apply for eligible multi-dwelling unit customers. †Must maintain a bundle of TV and Internet on a combined bill in order to receive unlimited data allowance at no add’l charge. For more info, go to usage" www.att.com/internet-usage. 1-YR ALL INCLUDED TV PACKAGE: Ends 5/31/18. $35/mo for U-family All Included; $55/mo for U-200 All Included; $60/mo for U-300 All Included; $110/mo for U450 All Included; for first 12 mos. only. After 12 mos, then prevailing rate applies (currently $81/mo for U-family All Included; $102/mo for U-200 All Included; $119/mo for U-300 All Included; $147/mo for U450 All Included; unless cancelled or changed prior to end of promo period. Pricing subj to change. $5/mo. discount: Must enroll in autopay w/in 30 days of TV activation to receive bill credit starting in 1-3 bill cycles. First time credit will include all credits earned since meeting offer requirements. Autopay requirement waived for online orders on att.com only. Incl. pkg HD service, equip fees for 1 HD DVR and standard pro installation. Exclusions: Price excludes applicable use tax expense surcharge on retail value of installation, custom installation, equip upgrades/add-ons (each add ’l receiver $10/mo) & other charges, including Broadcast Fee (up to $5.99/mo), a federal regulatory video cost recovery chrg and city video cost recovery fees. Credit restr’s apply. Different offers may apply for eligible multi-dwelling unit customers. Choice ALL INCLUDED PACKAGE: Ends 5/31/18. Available only in the U.S. (excludes Puerto Rico and U.S.V.I.). 1st & 2nd year Pricing: $45 for first 12 mos. only. After 12 mos. or loss of eligibility, then prevailing rate applies (currently $78/mo for SELECT All Included; $90/mo for ENTERTAINMENT All Included; $105/mo for CHOICE All Included; $117/mo for XTRA All Included; $128/mo for ULTIMATE All Included; $181/mo for PREMIER All Included), unless cancelled or changed prior to end of the promo period. Pricing subject to change. $5/mo. discount: Must enroll in autopay within 30 days of TV activation to receive bill credit starting in 1-3 bill cycles. First time credit will include all credits earned since meeting offer requirements. No credits in 2nd year for autopay. Includes: Choice All Included TV Pkg, monthly service & equipment fees for one Genie HD DVR, and standard pro installation. Exclusions: Price excludes Regional Sports Fee of up to $7.49/mo. (which is extra & applies in select markets to CHOICE and/or MÁS ULTRA and higher Pkgs. ), applicable use tax expense surcharge on retail value of installation, custom installation, equipment upgrades/add-ons (min. $99 one-time & $7/mo. monthly fees for each extra receiver/DIRECTV Ready TV/Device), and certain other add’l fees & charges. Different offers may apply for eligible multi-dwelling unit and telco customers. Xtra ALL INCLUDED PACKAGE: Ends 5/31/18. Available only in the U.S. (excludes Puerto Rico and U.S.V.I.). 1st & 2nd year Pricing: $55 for first 12 mos. only. After 12 mos. or loss of eligibility, then prevailing rate applies (currently $78/mo for SELECT All Included; $90/mo for ENTERTAINMENT All Included; $105/mo for CHOICE All Included; $117/mo for XTRA All Included; $128/mo for ULTIMATE All Included; $181/mo for PREMIER All Included), unless cancelled or changed prior to end of the promo period. Pricing subject to change. $5/mo. discount: Must enroll in autopay within 30 days of TV activation to receive bill credit starting in 1-3 bill cycles. First time credit will include all credits earned since meeting offer requirements. No credits in 2nd year for autopay. Includes: Xtra All Included TV Pkg, monthly service & equipment fees for one Genie HD DVR, and standard pro installation. Exclusions: Price excludes Regional Sports Fee of up to $7.49/mo. (which is extra & applies in select markets to CHOICE and/or MÁS ULTRA and higher Pkgs. ), applicable use tax expense surcharge on retail value of installation, custom installation, equipment upgrades/add-ons (min. $99 one-time & $7/mo. monthly fees for each extra receiver/DIRECTV Ready TV/Device), and certain other add’l fees & charges. Different offers may apply for eligible multi-dwelling unit and telco customers. Ultimate ALL INCLUDED PACKAGE: Ends 5/31/18. Available only in the U.S. (excludes Puerto Rico and U.S.V.I.). 1st & 2nd year Pricing: $60 for first 12 mos. only. After 12 mos. or loss of eligibility, then prevailing rate applies (currently $78/mo for SELECT All Included; $90/mo for ENTERTAINMENT All Included; $105/mo for CHOICE All Included; $117/mo for XTRA All Included; $128/mo for ULTIMATE All Included; $181/mo for PREMIER All Included), unless cancelled or changed prior to end of the promo period. Pricing subject to change. $5/mo. discount: Must enroll in autopay within 30 days of TV activation to receive bill credit starting in 1-3 bill cycles. First time credit will include all credits earned since meeting offer requirements. No credits in 2nd year for autopay. Includes: Ultimate All Included TV Pkg, monthly service & equipment fees for one Genie HD DVR, and standard pro installation. Exclusions: Price excludes Regional Sports Fee of up to $7.49/mo. (which is extra & applies in select markets to CHOICE and/or MÁS ULTRA and higher Pkgs. ), applicable use tax expense surcharge on retail value of installation, custom installation, equipment upgrades/add-ons (min. $99 one-time & $7/mo. monthly fees for each extra receiver/DIRECTV Ready TV/Device), and certain other add’l fees & charges. Different offers may apply for eligible multi-dwelling unit and telco customers. Premier ALL INCLUDED PACKAGE: Ends 5/31/18. Available only in the U.S. (excludes Puerto Rico and U.S.V.I.). 1st & 2nd year Pricing: $110 for first 12 mos. only. After 12 mos. or loss of eligibility, then prevailing rate applies (currently $78/mo for SELECT All Included; $90/mo for ENTERTAINMENT All Included; $105/mo for CHOICE All Included; $117/mo for XTRA All Included; $128/mo for ULTIMATE All Included; $181/mo for PREMIER All Included), unless cancelled or changed prior to end of the promo period. Pricing subject to change. $5/mo. discount: Must enroll in autopay within 30 days of TV activation to receive bill credit starting in 1-3 bill cycles. First time credit will include all credits earned since meeting offer requirements. No credits in 2nd year for autopay. Includes: Premier All Included TV Pkg, monthly service & equipment fees for one Genie HD DVR, and standard pro installation. Exclusions: Price excludes Regional Sports Fee of up to $7.49/mo. (which is extra & applies in select markets to CHOICE and/or MÁS ULTRA and higher Pkgs. ), applicable use tax expense surcharge on retail value of installation, custom installation, equipment upgrades/add-ons (min. $99 one-time & $7/mo. monthly fees for each extra receiver/DIRECTV Ready TV/Device), and certain other add’l fees & charges. Different offers may apply for eligible multi-dwelling unit and telco customers. $84.99 1-YR BUNDLE PRICE:Ends 5/31/18. $84.99/mo for first 12 mos. only. After 12 mos. or loss of eligibility, then prevailing rate applies $81/mo for U-family All Included; $102/mo for U-200 All Included; $119/mo for U-300 All Included; $147/mo for U450 All Included; , unless cancelled or changed prior to end of promo period. Must maintain all qualifying services and service addresses must match to receive advertised pricing. Pricing subj to change. $5/mo Discount: Must enroll in autopay w/in 30 days of TV activation to receive bill credit starting in 1-3 bill cycles. First time credit will include all credits earned since meeting offer requirements. Autopay requirement waived for online orders on att.com only. Includes: U-family All-Included TV Pkg., Internet plans (768k – 50M) and Phone Unlimited North America, HD service, equip fees for 1 HD DVR, Wi-Fi Gateway, and standard pro installation. Exclusions: Price excludes applicable use tax expense surcharge on retail value of installation, custom installation, equip upgrades/add-ons (each add ’l receiver $10/mo) & other charges, including a Broadcast Fee (up to $5.99) a federal regulatory video cost recovery chrg and city video cost recovery fees. Credit restr’s apply. Different offers may apply for eligible multi-dwelling unit customers. Geographic and service restrictions apply to AT&T services. Call or go to www.att.com to see if you qualify. $86.99 1-YR BUNDLE PRICE: Ends 5/31/18. 1st & 2nd year Pricing: $86.99/mo for first 12 mos. only. After 12 mos. or loss of eligibility, then prevailing rate applies (currently $127.99/mo. ), unless cancelled or changed prior to end of the promo period. Must maintain all qualifying services to receive advertised pricing. Pricing subject to change. Must enroll in autopay within 30 days of TV activation to receive bill credit starting in 1-3 bill cycles. First time credit will include all credits earned since meeting offer requirements. No credits in 2nd year for autopay. Includes: SELECT All-Included TV Pkg., Internet plans (768k – 50M) and Phone Unlimited North America, monthly service and equipment fees for one Genie HD DVR, monthly fees for a Wi-Fi Gateway, and standard pro installation. Exclusions: Price excludes applicable use tax expense surcharge on retail value of installation, custom installation, equipment upgrades/add-ons (min. $99 one-time & $7/mo. monthly fees for each extra receiver/DIRECTV Ready TV/Device), and other add’l fees & charges. AT&T PHONE: AT&T Phone service is provided over an Internet Protocol connection and powered by electricity in your home. AT&T Phone service including 911 dialing, will not function during a power outage without battery backup power. It is your responsibility to purchase any necessary battery back-up units for your service. Phone Unlimited North America: Includes unlimited nationwide calling within the U.S., plus calls to Canada, Mexico and U.S. Territories; otherwise, per minute rates apply. An additional per minute rate applies to international calls terminating on mobile phones. Offers may not be combined with other promotional offers on the same services and may be modified or discontinued at any time without notice. $100 Reward Card for purchase of qualifying U-verse TV (U-family and above). Online and select locations only. For new residential customers. Residents of select multi-dwelling units are not eligible for this offer. Reward Card: Will be sent letter with redemption requirements. Redemption req’d. w/in 75 days from reward notification mail date. Reward Card delivered within 3-4 weeks after redemption to customers who maintain qualifying service from installation date and through reward fulfillment. Card expires at month-end 6 mos after issuance. No cash access. For cardholder agreement, go to rewardcenter.att.com/myreward/agreementFSV.pdf. AT&T Reward Card issued by U.S. Bank National Association, pursuant to license from Visa U.S.A. Inc. May not be combined with other promotional offers on same services. Ltd Time Offer. Other conditions apply to all offers. $65 1-YR BUNDLE PRICE: Ends 5/31/18. $65/mo for first 12 mos. only. After 12 mos. or loss of eligibility, then prevailing rate applies (currently $111/mo. ), unless cancelled or changed prior to end of promo period. Must maintain all qualifying services and service addresses must match to receive advertised pricing. Pricing subj to change. $5/mo. discount: Must enroll in autopay w/in 30 days of TV activation to receive bill credit starting in 1-3 bill cycles. First time credit will include all credits earned since meeting offer requirements. Autopay requirement waived for online orders on att.com only. Includes: U-family All-Included TV Pkg., Internet plans (768k – 50M), HD service, monthly equip fees for 1 HD DVR, a Wi-Fi Gateway, and standard pro installation. Exclusions: Price excludes applicable use tax expense surcharge on retail value of installation, custom installation, equipment upgrades/add-ons (each add ’l receiver $10/mo) & other charges, including Broadcast Fee (up to $5.99/mo), a federal regulatory video cost recovery chrg and city video cost recovery fees. Credit restr’s apply. Different offers may apply for eligible multi-dwelling unit customers. Pricing, programming, features subj to change at any time without notice. Subject to AT&T U-verse TV Terms of Service (at att.com/legal).†Must maintain a bundle of TV and Internet on a combined bill in order to receive unlimited data allowance at no add’l charge. For more info, go to www.att.com/internet-usage. ALL INCLUDED PACKAGE: Ends 5/31/18. Available only in the U.S. (excludes Puerto Rico and U.S.V.I.). 1st & 2nd year Pricing: <$35> for first 12 mos. only. After 12 mos. or loss of eligibility, then prevailing rate applies (currently $78/mo for SELECT All Included; $90/mo for ENTERTAINMENT All Included; $105/mo for CHOICE All Included; $117/mo for XTRA All Included; $128/mo for ULTIMATE All Included; $181/mo for PREMIER All Included), unless cancelled or changed prior to end of the promo period. Pricing subject to change. $5/mo. discount: Must enroll in autopay within 30 days of TV activation to receive bill credit starting in 1-3 bill cycles. First time credit will include all credits earned since meeting offer requirements. No credits in 2nd year for autopay. Autopay requirement waived for online orders on att.com only. Includes: All Included TV Pkg, monthly service & equipment fees for one Genie HD DVR, and standard pro installation. Exclusions: Price excludes Regional Sports Fee of up to $7.49/mo. (which is extra & applies in select markets to CHOICE and/or MÁS ULTRA and higher Pkgs. ), applicable use tax expense surcharge on retail value of installation, custom installation, equipment upgrades/add-ons (min. $99 one-time & $7/mo. monthly fees for each extra receiver/DIRECTV Ready TV/Device), and certain other add’l fees & charges. Different offers may apply for eligible multi-dwelling unit and telco customers. Geographic and service restrictions apply to AT&T U-verse services. 1-YR BUNDLE PRICE: Ends 3/31/18. Pricing: $65/mo for U-family All Included + Internet; $85/mo for U200 All Included + Internet; $90/mo for U300 All Included + Internet; $140/mo for U450 All Included + Internet for first 12 mos. only. After 12 mos. or loss of eligibility, then prevailing rate applies (currently $109/mo. for U-family All Included + Internet; $128/mo for U200 All Included + Internet; $144/mo for U300 All Included + Internet; $169/mo for U450 All Included + Internet), unless cancelled or changed prior to end of promo period. Must maintain all qualifying services to receive advertised pricing. Pricing subj to change. Must enroll in autopay w/in 30 days of TV activation to receive bill credit starting in 1-3 bill cycles. First time credit will include all credits earned since meeting offer requirements. No credits in 2nd year for autopay. Includes: U-family All-Included TV Pkg., Internet plans (768k – 50M), HD service, monthly equip fees for 1 HD DVR, a Wi-Fi Gateway, and standard pro installation. Exclusions: Price excludes applicable use tax expense surcharge on retail value of installation, custom installation, equipment upgrades/add-ons (each add ’l receiver $10/mo) & other charges, including Broadcast Fee (up to $5.99/mo), a federal regulatory video cost recovery chrg and city video cost recovery fees. Credit restr’s apply. Pricing, programming, features subj to change at any time without notice. †Must maintain a bundle of TV and Internet on a combined bill in order to receive unlimited data allowance at no add’l charge. For more info, go to www.att.com/internet-usage. INTERNET SVC: AT&T Internet, formerly known as AT&T U-verse, is high speed internet provided over an advanced digital network. †Unlimited data allowance may also be purchased separately for an add’l $30/mo., or maintain a bundle of TV & Internet on a combined bill and receive Unlimited Internet data ($30 value) at no add’l charge. For more info, go to www.att.com/internet-usage Internet speed claims represent maximum network svc capability speeds. Actual customer speeds may vary & are not guaranteed. Actual speeds vary based on factors including site traffic, content provider server capacity, internal network management factors and device capabilities and the use of certain other AT&T services. Max speeds may not be realized if 2 or more HD shows viewed at same time. For more, go to att.com/speed101 and att.com/broadbandinfo. $100 Reward Card for purchase of qualifying U-verse TV (U-family and above). Online and select locations only. For new residential customers. Residents of select multi-dwelling units are not eligible for this offer. Reward Card: Will be sent letter with redemption requirements. Redemption req’d. w/in 75 days from reward notification mail date. Reward Card delivered within 3-4 weeks after redemption to customers who maintain qualifying service from installation date and through reward fulfillment. Card expires at month-end 6 mos after issuance. No cash access. For cardholder agreement, go to rewardcenter.att.com/myreward/agreementFSV.pdf. AT&T Reward Card issued by U.S. Bank National Association, pursuant to license from Visa U.S.A. Inc. May not be combined with other promotional offers on same services. Ltd Time Offer. 3 Mos. HBO® /Cinemax Offer: Ends 3/31/18. Customers not eligible for more than two HBO/Cinemax upgrade offers during any 12-month period. HBO®, Cinemax® and related channels and service marks are the property of Home Box Office Inc. All Offers may not be combined with other promotional offers on the same services and may be modified or discontinued at any time without notice. Other conditions apply to all offers. ©2018 AT&T Intellectual Property. All rights reserved. AT&T, the AT&T logo, and all other AT&T marks contained herein are trademarks of AT&T Intellectual Property and/or AT&T affiliated companies. Subsidiaries and affiliates of AT&T Inc. provide products and services under the AT&T brand. All other trademarks are the property of their respective owners. 1-YR U450 ALL INCLUDED TV PACKAGE: Ends 5/31/18. $110 for first 12 mos. only. After 12 mos, then prevailing rate applies (currently $147/mo), unless cancelled or changed prior to end of promo period. Pricing subj to change. $5/mo. discount: Must enroll in autopay w/in 30 days of TV activation to receive bill credit starting in 1-3 bill cycles. First time credit will include all credits earned since meeting offer requirements. Autopay requirement waived for online orders on att.com only. Incl. U-450 All included HD service, equip fees for 1 HD DVR and standard pro installation. Exclusions: Price excludes applicable use tax expense surcharge on retail value of installation, custom installation, equip upgrades/add-ons (each add ’l receiver $10/mo) & other charges, including Broadcast Fee (up to $5.99/mo), a federal regulatory video cost recovery chrg and city video cost recovery fees. Credit restr’s apply. Different offers may apply for eligible multi-dwelling unit customers.